The new HMI from systems score points for scalability, reliability and ease of use. 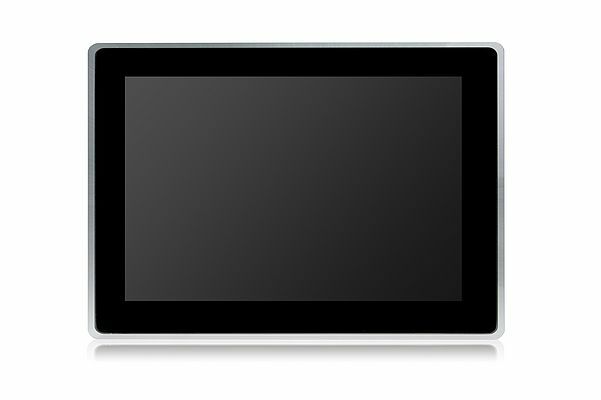 Syslogic is now offering the first 10.1” touch computer with a 16:10 widescreen display. The HMI system can be equipped with different CPUs depending on its intended use. For control applications requiring a large amount of power, the HMI systems are equipped with the trusted Intel Atom BayTrail CPUs (E3845 1.91 GHz). They deliver high computing power while consuming little energy. In the future, the HMI systems will also be available with the new ApolloLake CPUs. Data are transferred to plants and machines in real time via Industrial Ethernet. If the panel computer is used as a web terminal, e.g. if a SPS system is accessed via FTP, it can be equipped with less powerful platforms such as Raspberry Pi. This makes the new panel PC highly scalable. It can provide each client with the exact power they need. The HMI system can be integrated into the network wirelessly via Wi-Fi, Bluetooth or LTE. The new devices meet all requirements that modern control systems must meet in the age of Industry 4.0. This includes a high level of usability thanks to the multi-touch surface. The front of the devices complies with protection class IP65, and the entire system is shock-proof, vibration-proof and suitable for temperature ranges from –30 to +70 degrees Celsius. Production-related temperature fluctuations do not have any adverse effect on the touch PC. The HMI system has no rotating parts. It is cooled without a fan and uses industrial flash drives a storage media, thus allowing for maintenance-free operations. Syslogic develops and produces its HMI systems in house. This gives the company a firm grip on the availability of its products. Syslogic uses components with guaranteed long-term availability during the developmental stage, ensuring that every product remains available far longer than average. Its in-house development and production facilities further allow for flexibility when it comes to implementing specific requests from customers. A built-to-order service is available for batch sizes of 25 and above. This allows the company to fulfil its customers’ wishes perfectly.